The Legend of Zelda: Ocarina of Time is the fifth game in the series. It was developed by Nintendo Entertainment Analysis and Development and published by Nintendo for the Nintendo 64 video game console (N64). It was followed by a direct sequel, Majora's Mask. The game begins with Link in the land of Hyrule. Link sets out on a journey to stop Ganondorf from obtaining the Triforce, a magical item that grants whatever its bearer wished. Link, while on the quest to stop Ganondorf, travels back and forth between a period of seven years. Ocarina of Time enjoyed being critically acclaimed as well as a commercial success. It has sold over 7.6 million copies. It has recieved perfect scores from numerous sites and publications and in early 2006 it was ranked by Nintendo Power as the best game to appear on a Nintendo console. Currently the game has been released on the following formats: N64 (1998), GCN (2002 MQ), GCN (2003 CE), iQue (2003), and VC (2007). 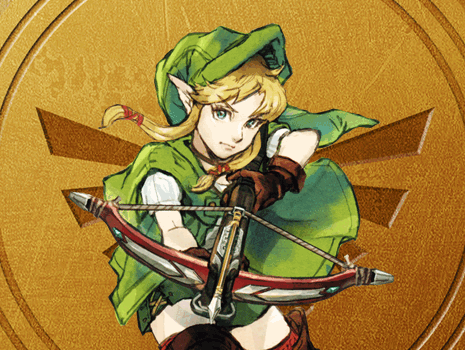 The pages below contain information and guides for Ocarina of Time.